The storage industry has seen considerable consolidation lately. It started a couple years ago with HP acquiring LeftHand and Dell acquiring EqualLogic. 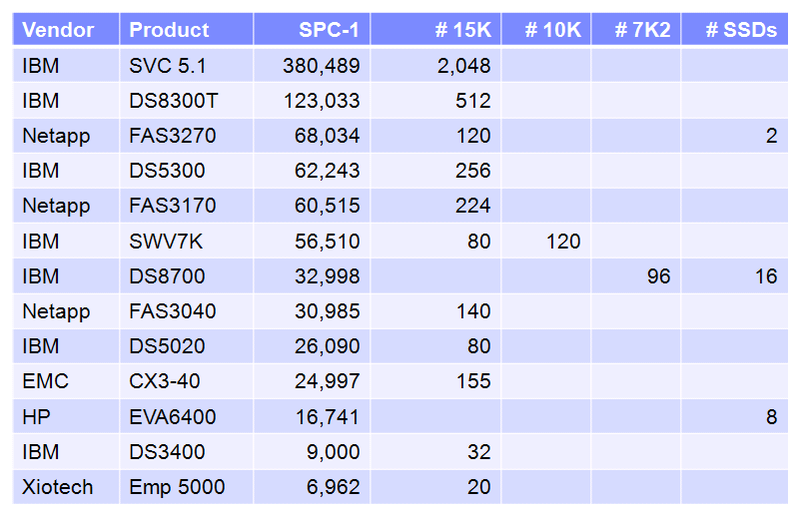 More recently, EMC acquired DataDomain and Isilon, HP acquired 3PAR, and as of this week Dell has acquired Compellent. This latest move had been rumored for sometime after Dell failed in its attempt to acquire 3PAR. Dell originally put out the bid for 3PAR, obviously looking for a large-enterprise storage solution that it could offer in-house. Dell for years had re-branded EMC Clariion storage arrays under its own moniker, but that agreement never expanded into the large-enterprise array space, to include the ubiquitous EMC Symmetrix. Symmetrix has long been known to be the market leader in the enterprise space, and with the introduction of the VMAX line, now has native scale-out functionality. In the past, enterprise arrays primarily were scale-up oriented. A tremendous amount of focus has come upon scale-out models within the past 12-18 months thanks to the proliferation of cloud strategies. Due to the enormous scale that cloud infrastructures must be able to grow into, traditional scale-up boxes based on proprietary architectures were simply too costly. Using commodity Intel components with scale-out architecture allows customers and/or service provides to achieve significant scale at a lower cost. The recent behavior by multiple manufacturers shows that they are feeling the pressure to boost their product portfolios with regard to scale-out storage. It’s also clear that many manufacturers are trying to create a product suite so they can try to “own” the complete computing stack. IBM has been in the position for quite some time. Oracle acquired Sun to enter the hardware business. HP decided to outbid Dell for 3PAR because it needed scale-out storage. HP’s only true in-house storage product was the EVA, and LeftHand is an SMB solution that can’t scale to meet enterprise needs. In the enterprise space, HP had been OEM’ing an array from Hitachi called the USP. The USP is a monolithic scale-up array that didn’t offer scale-out capabilities. Hence, HP needed 3PAR to create a scale-out enterprise storage array, which most likely will lead to the termination of their OEM agreement with Hitachi. The HP-3PAR acquisition left Dell as the odd-man out amongst the major players. With 3PAR off the market, Compellent was the most logical choice left. The interesting thing here is most folks would not recognize Compellent as a large enterprise class of array. Today, it is software that runs on whitebox servers. Dell must see something in the Compellent code that leads them to believe it can be reconstructed in a scale-out fashion. This is not going to be a trivial task. What does all this mean for you, the end-user? Personally, I feel that this consolidation is ultimately bad for innovation. The theory is pretty simple, when you try to be a jack of all trades, you end up being a master of none. We see this in practice already. IBM has historically had product offerings in all major infrastructure areas except networking, but few are recognized as being truly market leading. Servers have been one area where IBM does shine. Their storage arrays are typically generations behind the competition. HP has also been known to manufacturer really great servers, and now they are getting some serious consideration in the networking space. However, HP storage has been in disarray for quite some time. There has been a serious lack of product focus, the EVA in particular is very outdated and uncompetitive, and there is no in-house intellectual property in the high-end storage space. Dell has been known to make great servers as well, but didn’t really have any other offerings of their own for enterprise data centers. In the end, all of these conglomerates tend to do really well in one area while being mediocre when it comes to the rest, storage being one of the mediocre areas. This is proven in all the recent market share reports that show these companies have been losing storage market share to companies like EMC and NetApp. So why are EMC and NetApp so successful right now? I believe it’s because of their singular focus on storage, which helps them have the most innovative products on the market that offer the highest quality and reliability as well. EMC’s strategy is a bit more holistic around the realm of information infrastructure than NetApp’s, but it is still highly focused nonetheless compared to an HP or IBM. Without a doubt, this is why they continue to lead with best-of-breed products year after year, and continue to retain their market leader status. This also bodes well for the VMware-Cisco-EMC (VCE) and VMware-Cisco-NetApp (VCN) strategies. Rather than one company trying to be a jack of all trades, you have market leaders in each specific category coming together to create strategic partnerships with each other. The best-of-breed products can be combined into a stack, with the strategic partnerships allowing for options like one phone call for support, and extensive integration testing between components. It provides the benefits of single-source stack together with the benefits of a best-of-breed approach, which essentially is giving you the best of both worlds!